Professional service. Friendly service. Modern Hotel. Great view. 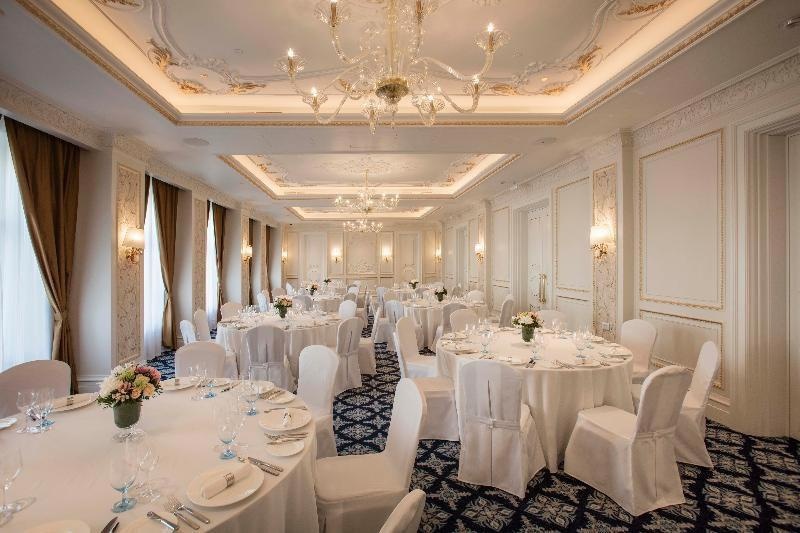 Showcasing a terrace and fitness centre, Lotte Hotel St. Petersburg is located in Saint Petersburg. Guests can enjoy the on-site restaurant. Private parking is available on site. Each room includes a flat-screen TV. You will find a coffee machine in the room. Every room includes a private bathroom equipped with a bathtub or shower. For your comfort, you will find bathrobes, slippers and a hairdryer. There is a 24-hour front desk, an ATM and a gift shop at the property. Admiralteyskiy is a great choice for travellers interested in cathedrals, history and architecture. This is our guests' favourite part of Saint Petersburg, according to independent reviews. Excellent wellness hotel. Good for sightseeing. Great rooms and fantastic service. Awesome vibe. Skilled personel. Very friendly staff. Amazing staff. Including room lighting. Beautiful rooms. Free transportation. Located in the centre of the city. Great location.